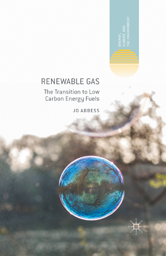 The book looks at the prospects for a transition from natural gas to low carbon gas, which could take several decades, and at how this will depend on the evolution of the fossil fuel industry. The author investigates the technologies and energy systems for making the best use of renewable gas resources. 1.1 What is Renewable Gas? 2.3.5 Can carbon pricing or taxation be effective in stimulating investment in the low carbon economy? 5.9 The carbon problem: an ocean solution? 5.10.1 Option A: conventional or unconventional Natural Gas? 5.10.2 Option B: utilise or vent carbon dioxide? 5.10.3 Option C: separation or in situ methanation? 5.10.4 Option D: fossil gas or Renewable Gas?